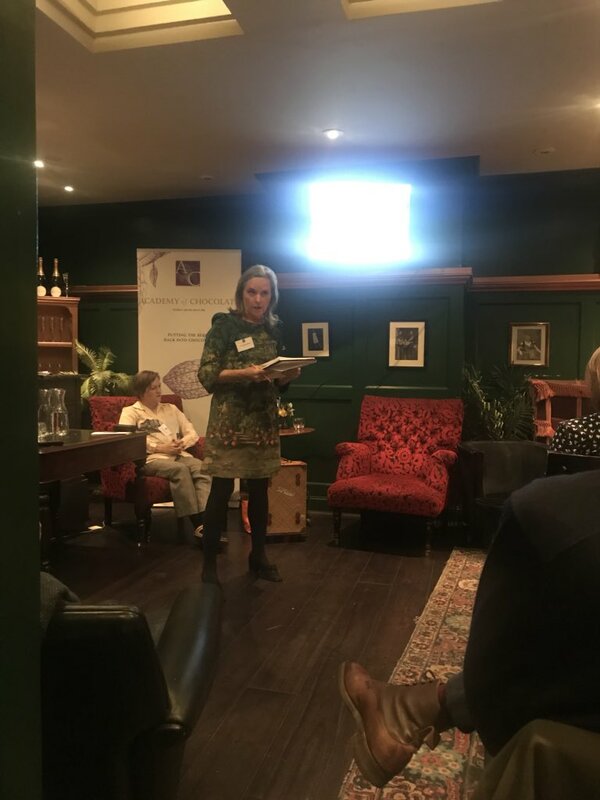 Emily was honoured to be invited by the Academy of Chocolate to talk about her new initiative Chocolate Futures at L’Escargot in Soho, London. The audience was made up of a small but knowledgeable group of Craft Chocolate and Bean to Bar practitioners and enthusiasts including her long time friend and chocolate mentor Coady Chantal Founder of Roccoco Chocolates who has been instrumental in the start-up. The idea is to improve the quality of cocoa beans produced by small farmers in Indonesia before they give up growing it altogether. Many farmers live too far away from a bulk cocoa processing factory to make cocoa a viable commodity. By improving the quality and introducing them to Fine Chocolate makers in the UK this could be reversed. There is plenty of diversity in Indonesian cocoa and the country is huge but there is much to learn and improve.